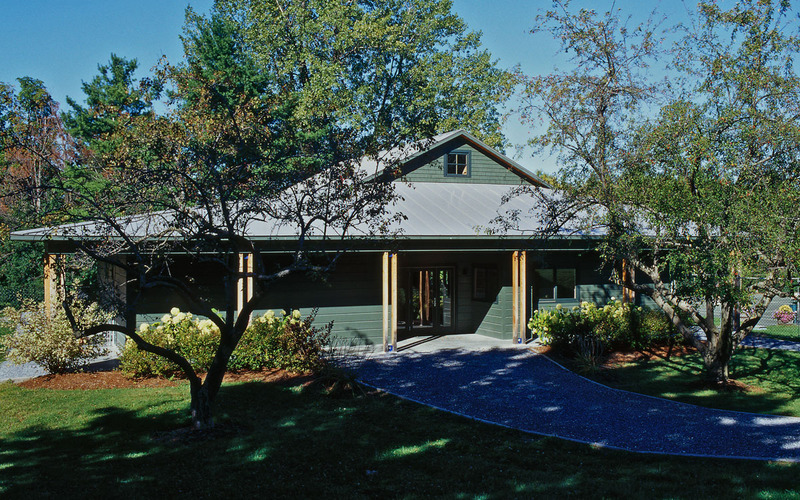 The Burlington Tennis Club retained TruexCullins to repair the existing clubhouse structure with a new facility. 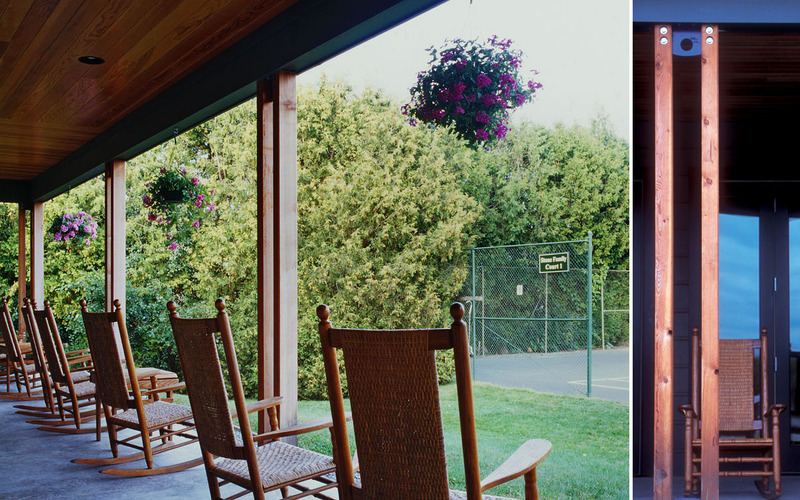 An outdoor covered porch is oriented toward the clay courts on one side and to the pool area on the other. The porches are detailed with fir posts and ceilings and scored concrete floors. The clubhouse living room features a high fir ceiling and exposed fir trusses.